There are numerous non prescription diet pills from which you can choose if you are considering them as an option to help you lose weight. Be that as it may, unfortunately, many over-the-counter pills on the market are not worth your time or your money. Worse still, some of these products are not only ineffective but they could be harmful to your body. That said, despite the number of bad OTC pills on the market, there are a few good non prescription diet pills available. However, discovering a pill that is both effective and safe can be quite the challenge, unless you know what you’re looking for. Most non prescription diet pills are made up of different herbal ingredients. Depending on the ingredients, the pills may work to decrease your appetite, enhance your metabolism, increase calorie and fat burning, lower the amount of fat your body absorbs, and so on. That said, not all OTC diet pills contain herbs. Some are made up of pharmaceutical-grade formulas and have active chemical ingredients that mirror the effects of popular prescription drugs, but are not as harsh on the body. Although many people are under the impression that non prescription diet pills are safer than prescription diet drugs, it’s important that you understand that just because a product may contain all natural ingredients, this doesn’t make it safe. One of the biggest problems with a good number of non-prescription weight loss aids is that very few have been effectively studied, which means there is little to no proof that many of these products will actually help you lose weight as they claim. What’s more, some of these products contain Ephedra, which is a powerful herb and common weight loss pill ingredient that has been banned by the FDA, due to the dangerous effects it can have on a person’s cardiovascular health. Thus, it is illegal to sell products containing Ephedra in the US. In addition, keep in mind that all non prescription diet pills carry a risk of side effects. While many of these are mild and usually cause gastrointestinal upset, increased urination, and headache, others can be more severe, leading to health issues such as high blood pressure, kidney damage, seizures, stroke, and heart attack. Always remember, even though one of the biggest perks of non prescription diet pills is that you don’t need a doctor’s permission to obtain them, you should still consult with you healthcare provider prior to taking any weight loss pills, regardless if they are herbal and contain all-natural ingredients. It’s in your best interest to make sure that the products you take won’t negatively interact with any medications you may already be taking or with any existing health conditions you may have. LipoNitro is a revolutionary premium quality weight management supplement offering rapid nitro burn benefits. 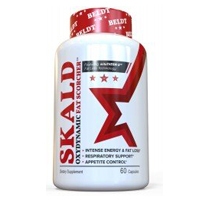 It has been specially formulated with clinically-studied ingredients to deliver weight management support when combined with a diet reduced in calories and regular exercise. 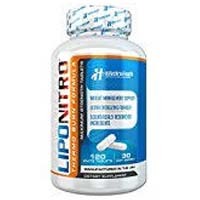 When this review of LipoNitro was created, each of the small white tablets were composed of the highly advanced THERMO BURN complex (L-Glutamine, Taurine, Caffeine, L-Phenylalanine and L-Theanine). This entry was posted in Non-Prescription Diet Pills Reviews and tagged caffeine, L-Glutamine, L-Phenylalanine, L-theanine, Taurine on June 9, 2018 by Diet-Pills.cc. 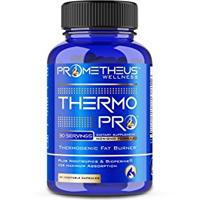 Thermo PRO is a thermogenic fat burner. This dietary supplement from Prometheus Wellness LLC has been specially formulated to provide a number of benefits. Among these include functioning as a fat burner and weight reducer, as a pre-workout supplement, a mood-enhancer/anti-anxiety, and as an antioxidant. This entry was posted in Non-Prescription Diet Pills Reviews and tagged CLA, Forskolin, garcinia cambogia, green coffee bean extract, green tea, L-theanine, Raspberry Ketones on May 8, 2018 by Diet-Pills.cc. 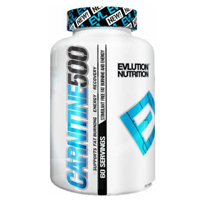 Evlution Nutrition Carnitine500 is a stimulant-free fat burning supplement supplement that can help body-building and weight loss. It has been designed to burn fat for fuel, as well as improve performance and endurance. More specifically, it’s formulated to support fat burning, energy and recovery. This entry was posted in Non-Prescription Diet Pills Reviews and tagged L-Carnitine on March 30, 2018 by Diet-Pills.cc. This entry was posted in Non-Prescription Diet Pills Reviews and tagged Bioperine Black Pepper, Bitter Orange, caffeine anhydrous, Elecampane Root Powder, green tea leaf, N-Acetyl Tyrosine, theobromine, Verbascum Thapsus Leaf, white willow bark on February 2, 2018 by Diet-Pills.cc. If you’re looking for a way to stimulate your body’s natural ability to burn fat faster, this is what the dietary supplement Simply 8 promises to help you do. The “healthy and natural” weight loss formula, developed by Biosearch Life, has been designed for both men and women, and has been created with clinically tested ingredients. Simply 8 works to curb hunger, and energize you while you burn fat and get rid of extra belly pounds. This entry was posted in Non-Prescription Diet Pills Reviews and tagged Bladderwrack, Dandelion, guarana, weight loss, yerba mate on January 11, 2018 by Diet-Pills.cc. 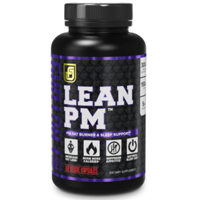 Lean PM is a stimulant-free fat burner supplement from Jacked Factory. It promotes a more restful and deep sleep, with claims that it reduces food cravings, boosts mood and sense of wellbeing, and burns fat while you sleep. This entry was posted in Non-Prescription Diet Pills Reviews and tagged 5-HTP, BioPerine, Epigallocatechin Gallate, L-theanine, Magnesium, Melatonin, Vitamin B6 on December 27, 2017 by Diet-Pills.cc. 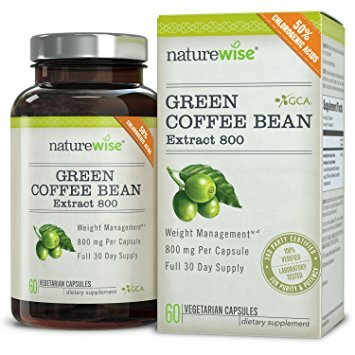 NatureWise Green Coffee Bean Extract 100% Pure with Antioxidants is a dietary supplement from NatureWise. 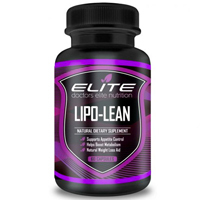 Considered to be a “natural weight loss supplement” by the manufacturer, this product supposedly works as a natural fat burner and metabolism booster for men and women, due to the fact that it is naturally high in chlorogenic acids. The NatureWise Green Coffee Bean Extract formula contains NatureWise Proprietary Green Coffee Bean Extract 800 Blend – Green Coffee Bean Extract (50% chlorogenic acids), GCA Green Coffee Bean Extract (50% chlorogenic acids). 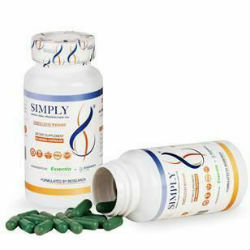 A single serving size (1 capsule) contains 800 mg of the proprietary blend. This entry was posted in Non-Prescription Diet Pills Reviews and tagged GCA, green coffee bean extract on December 7, 2017 by Diet-Pills.cc. 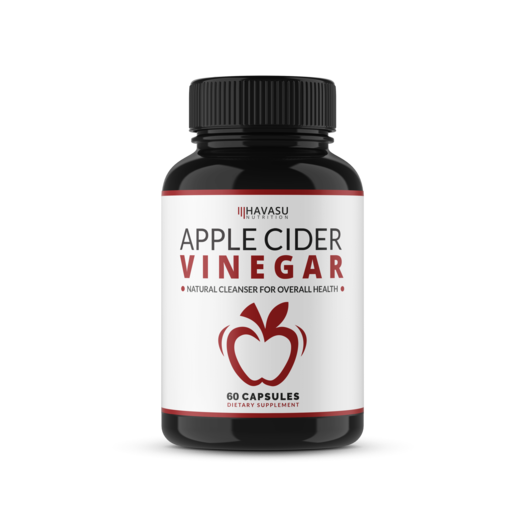 Havasu Nutrition Apple Cider Vinegar is a dietary supplement from Havasu Nutrition. It is marketed as a “natural cleanser for overall health”. It claims to offer several health benefits including detox, improved digestion, reduced blood pressure, healthier skin and hair, improved circulation, enhanced immune function and natural weight loss. This entry was posted in Non-Prescription Diet Pills Reviews and tagged apple cider vinegar on November 29, 2017 by Diet-Pills.cc. Crave Crusher is a natural appetite suppressant and weight loss supplement by Centurion Labz. It has been designed to lower cravings and naturally promote body fat loss. The product is free of stimulants. In fact, it was purposely created to be stimulant-free to provide users with a weight loss aid that wouldn’t come with unpleasant side effects like jitters, insomnia, heart palpitations, anxiety and the many other adverse effects linked to harsh stimulants. This entry was posted in Non-Prescription Diet Pills Reviews and tagged 5-HTP, Capsicum Annuum, Dandelion Root Extract, garcinia cambogia, Matcha Tea Extract, vitamin C, Vitamin D, Yohimbe Extract on November 13, 2017 by Diet-Pills.cc.